An invaluable resource for pastors, counselors, and other Christian professionals! 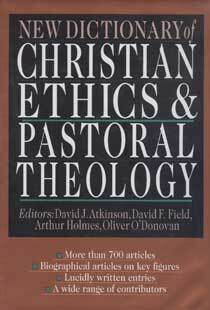 This ground-breaking volume integrates Christian ethics, and pastoral and practical theology into one versatile reference system. Eighteen comprehensive articles introduce the main themes of these three foundational subjects and over 700 articles flow from those main themes. Extensive, easy-to-use cross-references enable you to follow your own research back and forth between articles.